The last time the name Cloverfield and J.J Abrams were attached, audiences were treated to a found footage monster movie. Is 10 Cloverfield Lane a sequel to 2008’s Cloverfield? Is it a prequel? Does it exist in the same cinematic universe? Only time will tell. The full cast includes Mary Elizabeth Winstead, John Goodman, and John Gallagher Jr. Check out the trailer below. 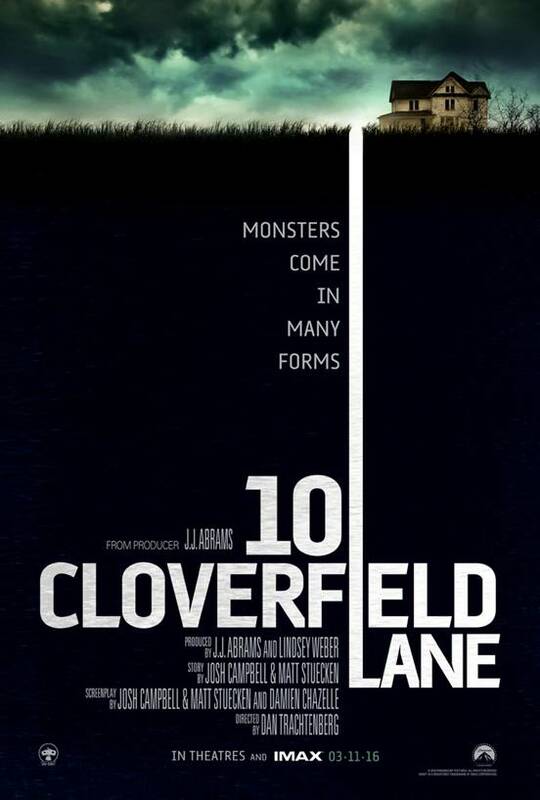 Posted in Trailers and tagged 10 Cloverfield Lane, Cloverfield, horror, J.J Abrams, John Gallagher Jr, John Goodman, Mary Elizabeth Winstead, monster movie. Bookmark the permalink.